An exotic tale of remembered passion. 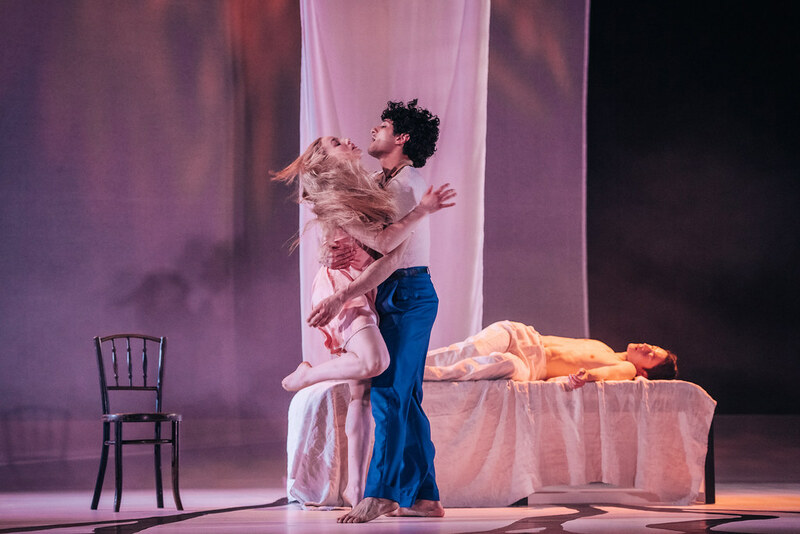 This unique collaboration between ourselves, The Royal Lyceum Theatre and Scottish Dance Theatre brings this exotic tale of remembered passion to new life in an original stage adaption by our own award-winning director Jemima Levick and visionary choreographer Fleur Darkin. 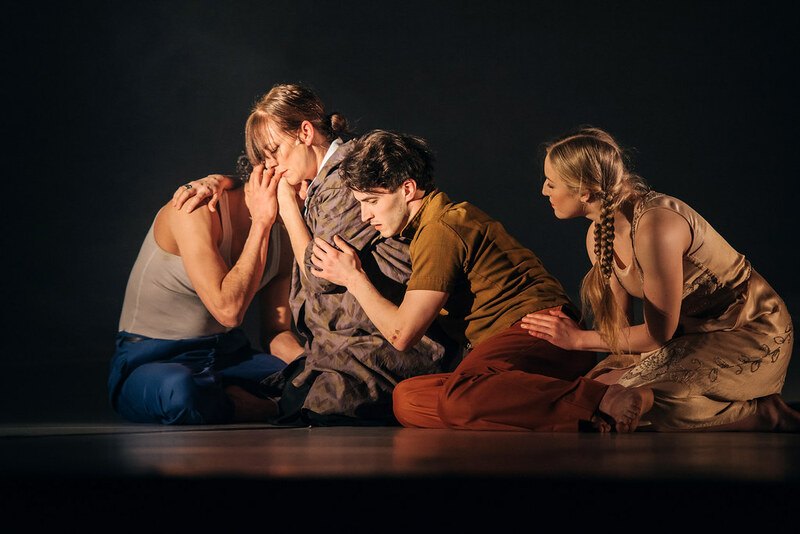 Fusing spoken word, music and evocative dance, this production promises to be an irresistible blast of sensual heat for the dark days of January. Watch Fleur Darkin & Jemima Levick discuss their process for adapting Duras’ books for the stage. "delicious concoction that goes beyond words to create something infinitely more sensual. "the depth and feeling brought to Duras’ story come across as truly important and beautifully handled. 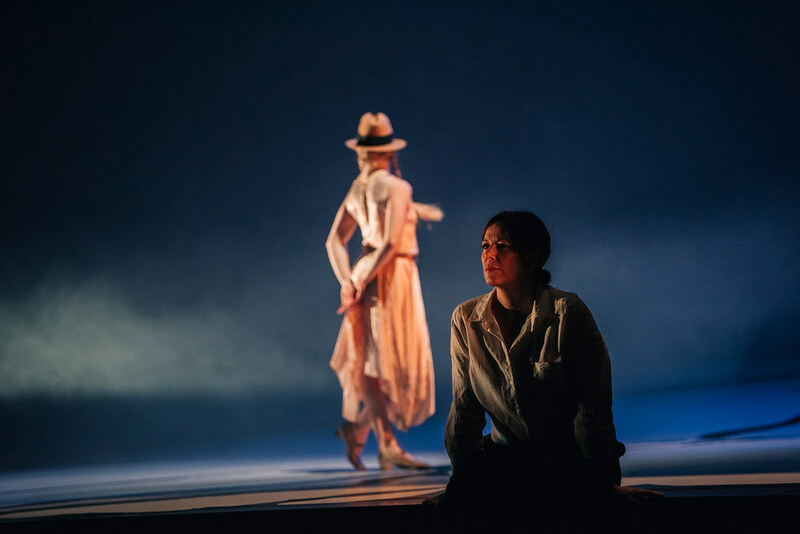 "Amy Hollinshead as The Girl is perfectly cast here and has an almost ethereal quality in her performance as she for the most part dances this role. "The Lover is a fearless display of erotica; a gorgeous fusion of uninhibited dance and drama that is a visual and sensuous delight. 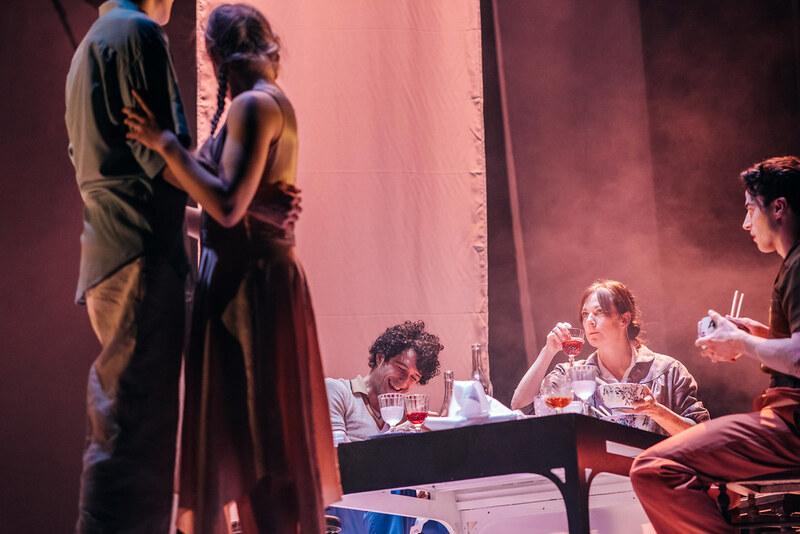 "the story is beautifully told, and follows such a clear arc highlighted by the sparse set design, understated lighting, simple but perfect costumes and the sheer brilliance of all of the performers, that it would be simply greedy to ask for more. Having said that, I could watch this again in an instant. "Susan Vidler gives an incredible performance as the Woman, showcasing her characters strength and the intimacy of the story. by Marguerite Duras. Adapted for the stage and directed by Fleur Darkin & Jemima Levick. Original translations by: The Lover, translated by Barbara Bray The North China Lover, translated by Leigh Hafrey. Marguerite Duras was a French novelist, playwright, scriptwriter, essayist, and experimental filmmaker, perhaps best known for writing the 1959 film Hiroshima Mon Amour, which earned her a nomination for Best Original Screenplay at the Academy Awards. Her work includes Un Barrage Contre le Pacifique (The Sea wall, 1950); Le Marin de Gibraltar (The Sailor from Gibraltar, 1952); Les Petits Chevaux de Tarquinia, (The Little Horses of Tarquinia, 1953); Le Square (The Square, 1955); Dix Heures et Demie du Soire en Éte (Ten-Thirty on a Summer Night); Hiroshima Mon Amour (1960). Her final work, a novel published a year before her death in 1996, was titled C’est Tout (No More, 1995). Jemima was appointed Artistic Director and Chief Executive of Stellar Quines in May 2016 recently directing The Last Queen of Scotland and The 306: Day. Prior to that, she served as Artistic Director and as Associate Director at Dundee Rep Theatre for seven years. She trained at Queen Margaret University, Edinburgh and also on a Scottish Arts Council Director Traineeship. She has won and been nominated for a number of awards and directed more than 18 productions at the Rep, including Great Expectations, The Glass Menagerie, Time and the Conways, The Tempest, The Elephant Man and Beauty and the Beast. As a director and producer she has worked with a number of companies, including the Royal Lyceum Theatre, the National Theatre of Scotland, Perissology Theatre Productions, Borderline, Grid Iron Theatre Company, Traverse Theatre and Paines Plough. The Disappointed (BBC Radio Scotland). Her recent film works include Spores (Short Film Talent Network). Fleur Darkin was appointed Artistic Director of Scottish Dance Theatre in Autumn 2012 and has toured works with the company around the UK and to Brazil, China, India, Mexico, Korea, and many European countries. Prior to that, she was Artistic Director/CEO of Darkin Ensemble and Associate Artist at Bristol Old Vic. She trained at Bretton Hall, Alvin Ailey (NYU) and graduated with a Masters from Leeds. She has won and been nominated for a number of awards (Jardin D’Europe, Linbury Trust, Jerwood, The Place Prize) and her recent commissions include Danza Contemporánea de Cuba (Havana), Royal Court Theatre (London), Shakespeare’s Globe (London), Abbey Theatre (Dublin), Glasgow 2014 Cultural Programme. Darkin’s career has also included choreographic and educational stints at Prem International School (Thailand), Serviço Social do Comércio (Brazil), Instituto Nacional de Bellas Artes (Mexico), Adishakti (India) and Laban, Royal Opera House, The Place and The 02 (UK). Collaborations include productions with National Theatre of Scotland, Grid Iron, Stellar Quines, Dundee Rep Ensemble, Birmingham Repertory Theatre, Edinburgh International Festival, and Glastonbury Festival. 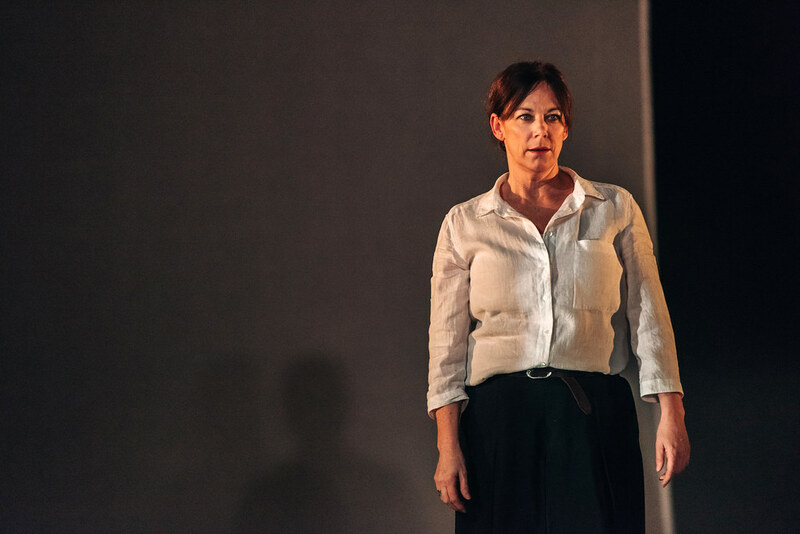 Darkin’s choreography has been described as ‘powerful and disturbing’ (The Stage), ‘always inventive’ (Telegraph) and as ‘politics comes to life in the body’ (New Statesman). Scottish Dance Theatre will premiere her latest work, ‘Velvet Petal’, at Tramway (Glasgow) in May 2017 and she is currently developing further projects with the company with partners in India, China, Cuba and Japan. Emma Jones graduated from Aberystwyth University and has been Head of Production with Scottish Dance Theatre since January 2006, touring extensively both nationally and internationally. Her credits as lighting designer include Drift, NQR, What on Earth! ?, Kingdom, Dreamers, YAMA, Miann, Velvet Petal, In this Storm and TuTuMucky for Scottish Dance Theatre; The Little Mermaid, Talking Heads and Midsummer for Dundee Rep Theatre; A Christmas Carol, Cinderella and Alice in Wonderland for Derby Theatre; Plan B for Utopia and Achilles I for Joan Cleville Dance. Other credits include award-winning production Falling in Love with Frida for Caroline Bowditch Company, Hiccup Theatre, Smallpetitklien, Matthew Robinson Dance and Macrobert. Previously for Stellar Quines Emma lit The View from Castle Rock, the sell –out 2016 Edinburgh Fringe production. Emma has taught technical theatre and held various lighting design workshops worldwide. David Greig is an acclaimed and multi award-winning playwright who became the Artistic Director of The Lyceum in 2016, and his first season included critically acclaimed works The Suppliant Women, adapted by David, which went on to The Royal Exchange, and will be at the Young Vic in November. David’s most notable plays include The Events (Traverse, Scotland and Young Vic), The Strange Undoing of Prudencia Hart (Tron, National Theatre of Scotland), Midsummer (Traverse, Soho and Tricycle), Dunsinane (RSC at Hampstead and National Theatre of Scotland), Damascus (Traverse, Scotland and Tricycle), Outlying Islands (Traverse and Royal Court), The American Pilot (RSC), Pyrenees (Paines Plough), The Cosmonaut’s Last Message to the Woman he Once Loved in the Former Soviet Union (Donmar Warehouse and Paines Plough), The Architect, and Europe (Traverse). Adaptations include Creditors (Donmar Warehouse), The Bacchae (Edinburgh International Festival and National Theatre of Scotland), Tintin in Tibet (Barbican, Playhouse and UK tour), When the Bulbul Stopped Singing (Traverse Theatre, – Amnesty International Award; TapWater Award and Herald Angel), Caligula (Donmar Warehouse) and Peter Pan (National Theatre of Scotland, Traverse and Barbican). David wrote the book for Charlie and the Chocolate Factory, which opened in the West End in 2013 and recently transferred to Broadway. Lanark opened at the Edinburgh International Festival in Summer 2015 and his adaptation of Dr Seuss’ The Lorax opened at The Old Vic for Christmas 2015. Recently, David worked on Cover My Tracks (Old Vic), for which he wrote the book, with Noah and the Whale’s Charlie Fink, and is currently working on an exciting Lyceum project, to be announced in the New Year. Naked, Mike Leigh; Trainspotting, Danny Boyle; Let The Right One In, National Theatre of Scotland, Apollo Theatre, St Anne’s Warehouse New York; Sabina, Bush Theatre; Nobody Will Ever Forgive Us, National Theatre of Scotland and Traverse Theatre; Knives in Hens, National Theatre of Scotland. Amy is a graduate from Rambert School of Ballet and Contemporary Dance who joined Scottish Dance Theatre in 2013 and has worked with choreographers including Jo Strømgren (Winter, Again); Jorge Crecis; Damien Jalet (YAMA); Henri Oguike; Anton Lachky (Dreamers); Botis Seva (TuTuMucky); Sharon Eyal (Process Day); and Fleur Darkin (Miann, Velvet Petal). 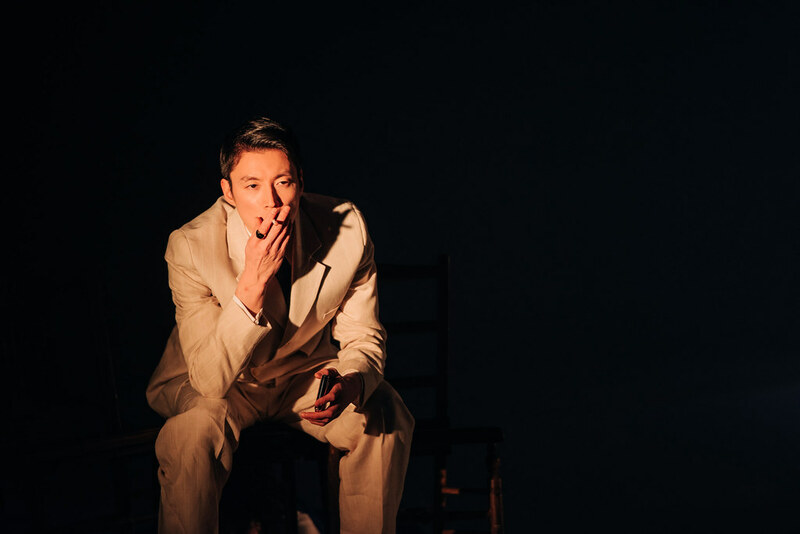 Yosuke is a graduate of Hamburg Ballet School and has performed with the Norwegian National Ballet, Tanztheatre Wuppertal Pina Bausch, Scapino Ballet Rotterdam, Satdttthearter Bremerhaven and Theater Regensburg, with choreographers including John Neumeier, Ed Wubbe, Marco Goecke, Heidi Vierthaler, Pedro Goucha Gomes, Yuki Mori, and Marina Mascarell. 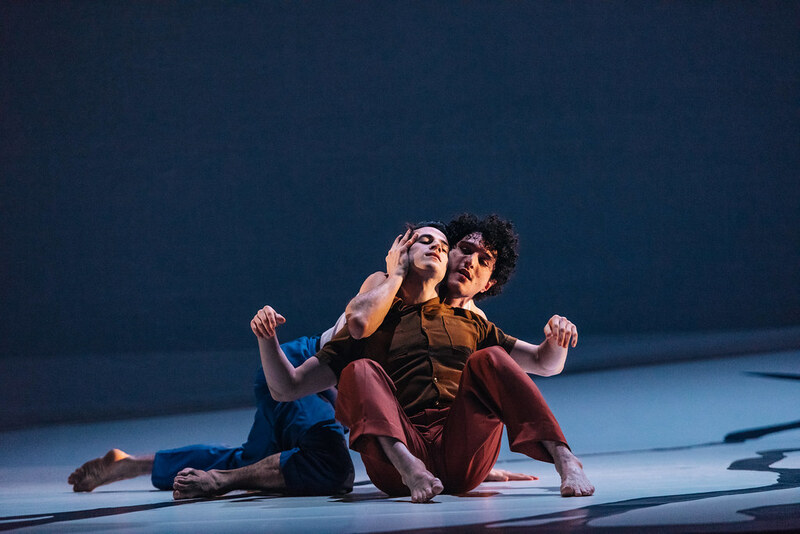 Francesco is a graduate of London Contemporary Dance School, and joined Scottish Dance Theatre in 2013 and has worked with choreographers Damien Jalet, Jorge Crecis, Anton Lachky, Fleur Darkin, Sharon Eyal, and Botis Seva. Kieran is a graduate of Bodywork Company and London Contemporary Dance School, and joined Scottish Dance Theatre in 2016 and has worked with Jessie J, Take That, The Saturdays, and choreographers Sidi Larbi Cherkaoui, Carlos Acosta, Kim Gavin, Fleur Darkin and Botis Seva.